Drink milk! “ Warna calcium kaise milega?” I know most of the moms do this! The reason I know is, because they do it right in my clinic too. Of course, milk is a very rich source of calcium. I completely agree but I guess that’s not all right? 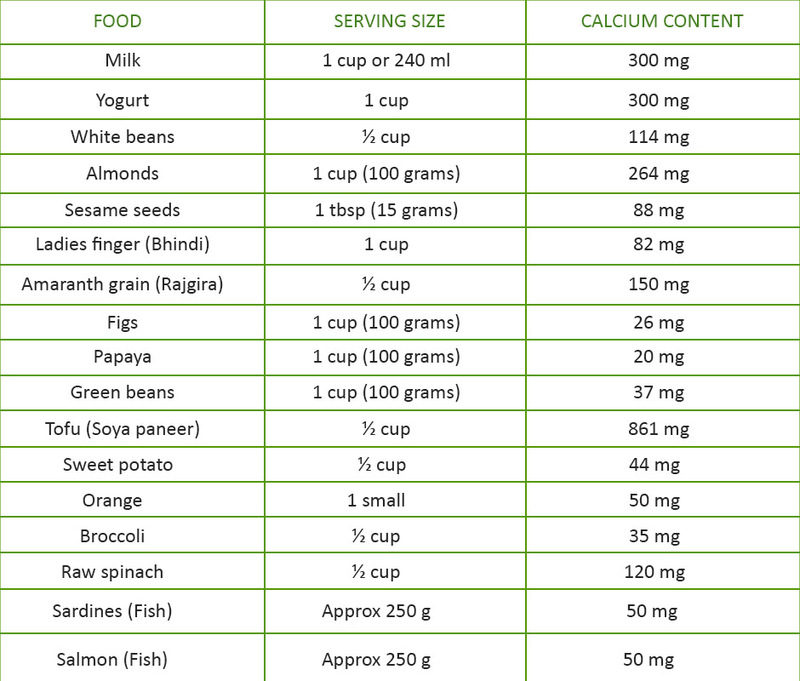 While we are talking about calcium, you can find a Calcium-Based Food Chart For 6 Months-3 Years in this article. The issue which most moms complain about is proper knowledge about nutrition. When you become a mom, you get loads of free advice and because you want everything best for your child, you will do everything which is going to benefit your child’s health but the problem is right source of information. Most moms only know about milk as the source of calcium. That is the reason they start worrying about their growth if they throw tantrums in drinking milk. I hope after reading this article you will get an overview about other sources of calcium which you can add in your child’s diet! This is about kids who can drink milk but they don’t like to drink it. The problem gets even more serious, when your kid is lactose intolerant. Lactose intolerant means your kid doesn’t have that enzyme to digest milk. So let us talk about calcium, why babies need it and how much is required. Why do babies need calcium? Babies require more calcium, than adults because their bone development is an accelerated process. Calcium is being deposited in multiplying bone cells which not only makes the bones stronger but also helps in keeping the bones together. Different stages of growth has different calcium requirements. Bioavailability of human milk in terms of calcium is much higher than any formula milk. Do not give anything apart from breast milk for the first 6 months. Premature babies require more calcium in their diet so you can ask your pediatrician to give you an alternative for the same. Calcium requirement for toddlers is 500-700 mg. 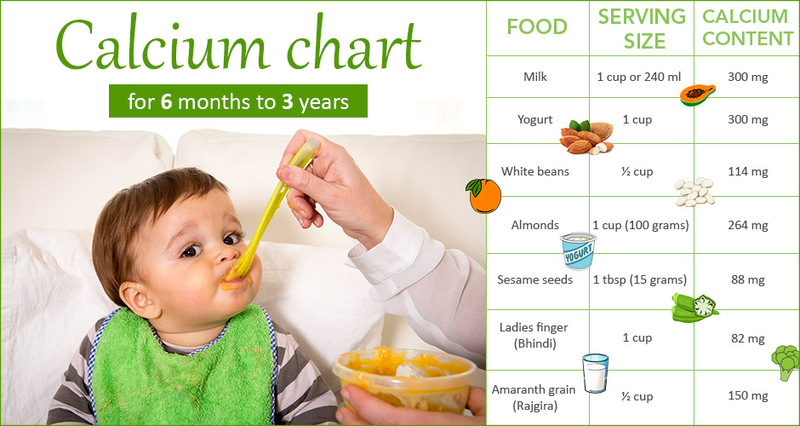 Toddlers by the age of 3 eat almost all the food stuffs so keeping a balanced diet is very important in this case. Milk and milk products are no doubt a very good source of calcium but the calcium obtained from other sources should not be ignored. 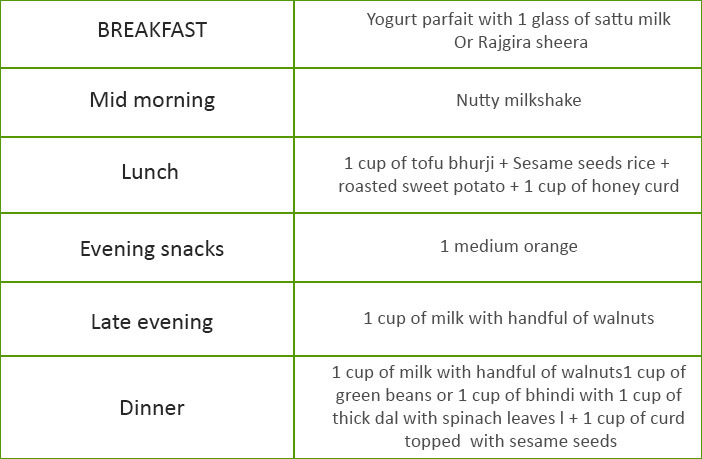 All the sources mention above are good sources of calcium and can be readily absorbed by the body except spinach. Since spinach is rich in oxalate which makes the calcium in it almost unavailable for the human body to absorb. Some food sources which are rich in “phytates” are also poor sources of calcium for example cereals, wheat bran. Important: You cannot mix iron rich foods and calcium rich foods. They interfere in their absorption.